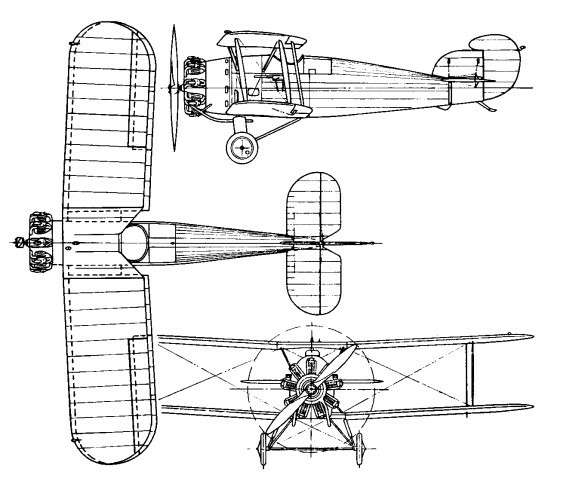 The task of redesigning the Woodcock was undertaken by W G Carter, who retained little of the original design apart from the fundamental fuselage structure. A new single-bay wing cellule was adopted, with marginally increased incidence and chord, and reduced sweepback. The fuselage decking was recontoured, tail surfaces were redesigned and the armament was repositioned. Powered by a 380hp Bristol Jupiter IV nine-cylinder radial like that eventually installed in the original Woodcock, but featuring individual cylinder heads, a new prototype designated Woodcock II was flown early in 1924. The redesigned fighter overcame most of the shortcomings of its progenitor, and a contract was placed on behalf of the RAF before the end of 1924. Similarly armed to the original fighter prototype, the Woodcock II was awarded successive contracts, a total of 62 being built, with deliveries being completed in 1927. 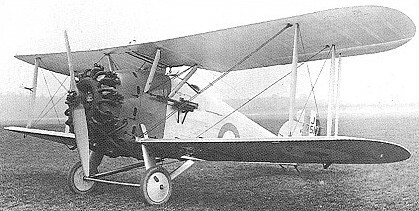 The type served with two RAF squadrons until 1928, some late production examples being fitted with the Jupiter IV uprated to 416hp.